Saw Palmetto is a herb that is widely used to relieve some conditions of the prostate, although it is also sometimes used for other conditions as well. Native to the southeastern parts of the United States, mainly Florida, this tiny dwarf palm tree which produces small berries was originally used by the Seminole Indians for its medicinal properties. Today, Saw Palmetto is used in particular to treat the urinary symptoms which are commonly associated with BPH, or benign prostatic hyperplasia. Those include improving urinary flow, stopping or reducing excessive nighttime urination, and an overall improvement in the quality of life. This herbal treatment is not used to treat cancer of the prostate, and no research has conclusively proved that it can conclusively reduce the size of an enlarged prostate either - just reduce the symptoms associated with it - although some trials are encouraging. The ripe fruit is used in many forms, either ground or dried or sometimes the entire berry is used. Most people buy this supplement in either liquid form, or as capsules or pills. Occasionally it is made into a tea. There have been many clinical trials carried out on the Saw Palmetto plant, whose botanical name is Serenoa repens, with excellent results. The berries are thought to inhibit the conversion of testosterone to DHT, or dihydrotestosterone, which is thought to enlarge the prostate. Saw Palmetto has also been shown to inhibit androgen and oestrogen nuclear receptors, without interfering with testosterone or affecting hormone levels. Perhaps most importantly, taking this supplement does not interfere with tests used to detect cancer, so it is widely used without fear that this could happen. It is also used to prepare prostate patients for surgery, as studies have shown that it can reduce bleeding afterwards, reduce catheter use and aid in the recovery process overall. It is also used for men suffering with prostatitis, or chronic pelvic pain, although studies are continuing in this area. Saw Palmetto has other uses as well. As it is thought to inhibit the conversion or testosterone to DHT, as mentioned above, some tests are now being carried out to see if it can be used in androgenic alopecia, or hair loss caused by male pattern baldness, much like Propecia. Some shampoos and other products are now on the market containing Saw Palmetto for this purpose. Another purported use for this supplement is to encourage natural breast enlargement in women. As is blocks DHT in the body, the theory is that this could cause an imbalance between oestrogen levels and testosterone levels, making breast size increase. It’s quite a leap, and so far no definitive research has proved that this could be the case. 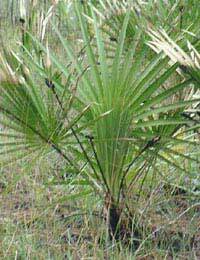 Treating erectile dysfunction in men is yet another claim manufacturers of Saw Palmetto products are making. Red Rooster Pills, for example, are advertised as a “natural Viagra alternative” and contain Saw Palmetto extract, among other “cutting edge pro sexual nutrients from around the world”, according to the product’s ads. Taking Saw Palmetto products, for most men, has few side effects, with the exception of occasional stomach discomfort. In rare cases men using this supplement have reported tender breasts and/or a lack or decline of sexual desire. Women who take this supplement to increase their breast size should not take it if they are pregnant, have breast cancer, genital bleeding of any kind or oestrogen-dependent neoplasia, a condition which can lead to tumours. There is not enough evidence to recommend its use in any form to children under age 18, and people with bleeding disorders should be cautious. Remember, all supplements – including completely natural ones – can interact with other supplements or even prescribed medications you may be taking. Never take a supplement without consulting your doctor first, after disclosing your full medical history.